Bertrand Russell said that the difference between philosophy and science is of the degree not of kind. Prof. Dewey also said that the roots of philosophy and science are the same. Here we will study the relationship between philosophy and science. Literally the word ‘science is derived from a Latin word ‘Scientia’ means knowledge. Therefore, science is knowledge. When we use word ‘science’, it also refers scientific knowledge, scientific methods and different branches are sciences to e.g. physical science, biological science and social sciences etc. Science gives systematic and well-organized knowledge. Scientific knowledge is claimed to be exact and certain. It has a limited field. It deals with a particular phase of nature or experience rather than with the whole. Its methods are generally accepted as analytic. Science aims at the formulation of general laws in order to explain events in nature. Science yields quantitative results. In brief, science is a method of objective investigation with the purpose of describing and interpretation the world in exact and quantitative terms. In science observations needs no proof. Causation is an important concept in science. Factuality is the basis of scientific results. There is certainty in scientific results. Science is a systematic study of knowledge. Philosophy critically analyses the results of all sciences and present a synoptic view of the life and world. C.D. Broad says that the object of philosophy is to take over the results of the various sciences, to add to theme the results of the religious and ethical experiences of mankind and then to reflect upon the whole. The hope is that, by this means, we may be able to reach some general conclusions as to the nature of the universe and as to our position and prospects in it. Both Science and Philosophy are engaged in the search of truth. Both are critical in nature. Philosophy integrates sciences and examines scientific assumptions. Scientific research influences philosophical progress. Philosophy guides the future course of scientific process. Philosophy provides a constructive criticism of sciences. Philosophy and Science have different scope and problems. The attitudes of philosophy and science are different. 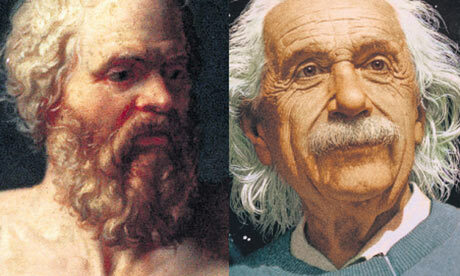 Science and Philosophy differ in their methods. Philosophical Conclusions are different from these of sciences. Philosophy and science are engaged in different activities. Philosophy and Science has much in common. Both grew out of the reflective, inquiring and are prompted by an impartial love of truth. Both attempt at understanding the world. But their approaches are different. Science has its goals-description, prediction experimentation and control while philosophy aims at interpretation, in finding the purpose and value in life.